The 38ft x 12ft Willerby Granada XL is a two bedroom holiday home which because of the sofa bed in the lounge, actually sleeps six. 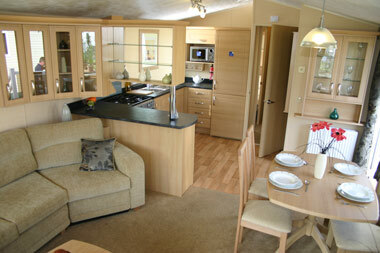 It is one of five two bedroom Granada models ranging in lengths from 28ft – new for the 2010 season – to 38ft. Their width is standard at 12ft. 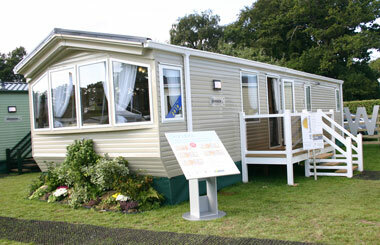 As far as the layout is concerned the Granada is fairly typical of single unit holiday homes, although unlike some similar homes it boasts a pre-galvanised chassis instead of a painted one. This we consider an important feature – especially if the home is to be sited near the sea where it has to resist the effects of salt spray in the atmosphere. The home’s exterior is aluminium clad with a steel pantile roof. There is also a PVCu double glazing option. The entrance is roughly halfway along the front elevation with the lounge, dining areas to the left as you enter and the kitchen opposite the doorway. The lounge and dining areas are combined and rectangular in shape spanning the full width of the home. The area is carpeted and there is seating running below the end windows in the home before turning through 90 degrees to run along the back wall to kitchen. The dining furniture comprises a rectangular table and four chairs adjacent a freestanding display cabinet with an inbuilt electric fire. Beyond the fire is a TV cabinet with an aerial point on the wall above it. Lighting in the lounge and dining area is via pendant lights. The kitchen is basically U-shaped with a base unit and working top on the left separating it from the lounge. Above this unit is a cantilevered display cabinet running from the home’s rear wall and supported at its outer end by a pillar fixed to the worktop. 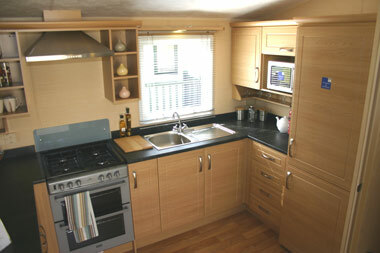 On the rear wall is a full size gas cooker with a cooker hood and extractor fan above it. Next to it is the sink unit. Importantly, there is plenty of storage for cooking and dining utensils in the base and wall units and in the integrated fridge/freezer which is a standard to the Granada. From the kitchen a door leads into a hallway, the two bedrooms and a good size shower room. The main bedroom has a double bed with storage in wall cabinets above it. Opposite the foot of the bed is a built-in wardrobe with drawers below. 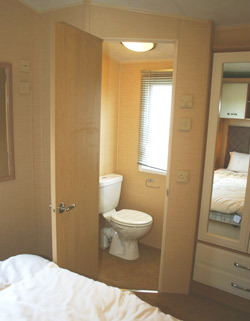 There is also a small en suite toilet which we felt was an excellent feature. 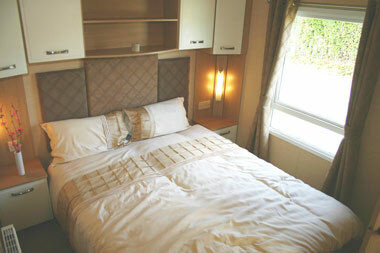 The second bedroom has two divan beds, with storage in wall cabinets above the headboards, and in a small wardrobe. 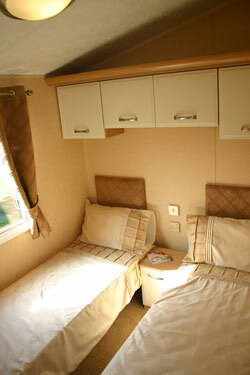 Outwardly, the Granada XL is fairly similar to many other single unit holiday homes. However, we came away feeling that internally it offers much better value for money – due in no small way to Willerby’s buying power coupled with over 60 years experience in designing and building holiday homes. The Granada has been in the company’s holiday home range for many years, and we have no doubt it will continue to remain as one of its most popular models for many years to come. we found that the sofa in the lounge has worn badly, cushions on the seats have stretched, so we have to keep straightening them out. Also having carpet in the bathrooms is not a good thing as it holds in the damp. We have had laminate flooring put in. Other than these problems we are very pleased with this van. Don’t miss out on our monthly tips, model reviews and give aways.